I’ve been working on my WIP2 for two weeks now, and I’m having So. Much. Fun. I do have a confluence of inspiration and motivation helping me out, thanks to conversations with my lovely writing friends*, and to life in general (remind me to tell you all about my introduction to resin one day). Mostly, I’ve decided to slow down and really think about what I write. I have decided to give myself a hiatus from scribbling ANYthing down, including journaling in favor of taking the time to write out a scene and flesh it out as I write out my draft. I would sketch out a scene or a few scenes, and then go back over them again and again, and see how they read with the rest of the story so far, adding, deleting, and revising lines as I go. Before, having the sketch of a scene was good enough and enabled me to move forward in the story. But, I inevitably get confused about next steps or where to go, and just skip ahead just so I can get to the end of the story. Which was a great confidence booster for WIP1: I made it to The End. Admittedly though, most of what I’d written had no value in the long term. The Hot Mess I’m left with would basically need to be rewritten. Now, as I’m writing WIP2, I wait, think, and consider my writing as I write it out on the computer. I know that sounds elementary, but you have to understand. I’m a consummate scribbler. I’ve been writing notes and filling out journals for as long as I remember. 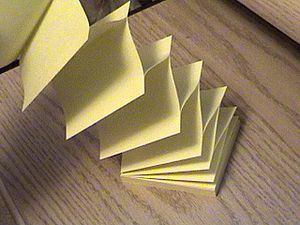 Sometimes, I write whole scenes, and even once, a whole chapter, on index cards and sticky notes. Writing directly on the computer (I thought) was a death knell to my creativity. Not scribbling every little idea that comes to me while I’m away from the WIP has freed me to reread what I’ve written and expand on scenes, remember buried plot points, start new scenes, move things around. Basically, has made this draft’s beginning stronger than any other first draft I’ve written (and never finished). And, I don’t get discouraged when I’m “blocked” because when I reread what I’ve written, I can always find an idea or thought that I can expand on in a new scene, which feeds other new scenes. So, I may not be chugging along as quickly as I normally do during moments of rough draft inspiration. But, so far, I’ve written more valuable words for much longer, and that’s worth more to me than phenomenal word counts. Once I’m halfway through the story, in other words, once the story becomes too big to see all at once (as I can right now), I can see the need to jot down scene sequences Scrivener style to help keep it all straight. For now, I’m enjoying this story-telling experience. Honestly, I’m still in awe that I’m adding to WIP2, and that it’s growing and evolving. Fingers crossed that I will finish this draft soon, and still look at it with this same loving glow. *conversations including, but not limited to, Michele, Carol, Kayla, Melissa…thank you! I’m actually going through the opposite. I wrote really fast, but now I’m editing super slowly, because I keep going over everything to make sure all of the character arcs are right and the suspense is there and everything is just so. I’m not sure if this is the best way to go about things, as I’ve never gone about it this way before, but we’ll see. But enough about me. Go YOU! Keep at it! Stay strong! And don’t give up! I’m sure your manuscript will be awesomeness. My WIP1 was written way fast (in the throes of nanowrimo, in fact), and I had scenes that I wanted to write and I wrote them out regardless of how it would fit in the story, just so I can get to The End. I LOVED the feeling, but I was left with a rather gappish and scarred manuscript which made editing difficult. I tried for a bit, though, really, but came to the conclusion that it’ll need to be rewritten. In the meanwhile, WIP2 had been bouncing around inside my head begging to be written, and so I’ve been working on that for the last 2-3 weeks now and LOVE my experience so far! A LOT slower, but I’m trying NOT to get caught up in how many words I’ve written, rather, how the story is progressing. I’m telling myself that the work I’m putting in NOW will be less work and frustration for me while editing. I love writing this way! I’m SO glad you’re enjoying it. I think it shows in the few chapters I’ve read. I’m learning to find the balance in my style, but I suppose that could be a life long pursuit. Anyway, loved your post! “I like to go where the story takes me” –>Yes! I didn’t trust myself enough to do this before, and so overplotted the spontaneity (and fun) out of WIP1. And yes, I’m hoping it continues to work for me too! I usually try to get through a first draft as quick as possible, but now that I’ve had more experience writing I can see how that makes it harder to edit on the flip side! Although I will always be a scribbler 🙂 You can take my stickies when you pry them out of my cold, dead hands! Heehee, I don’t want to get between you and your stickies, for sure!! I still use them for new ideas 🙂 I just love seeing how different everyone’s writing process is and knowing that fact helps me feel more sure of myself.